Why a conventional TV stand is needed in a common house hold? And what are your expectations from a common TV stand? Well, it should be well built, it should be pretty stylish, it should go with the rest of the room interior, it should be cost effective, and it must ensure the protection of the expensive device that we buy against thousands of bucks. 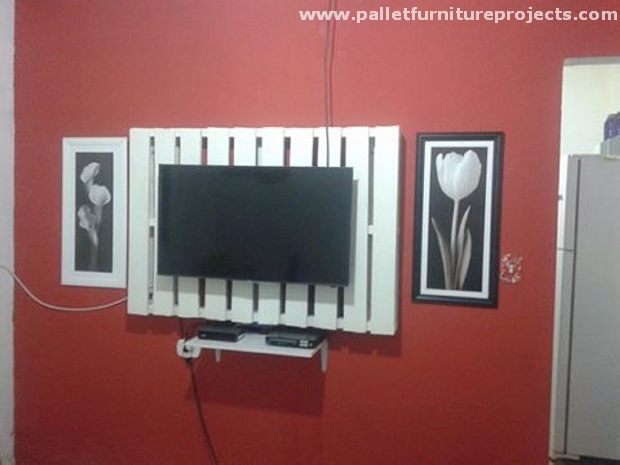 What would you say if we tell you that we are going to make a pallet wall TV stand? Yeah the same wooden pallet is going to be our companion again, and we would be doing the same task with the pallet wood. 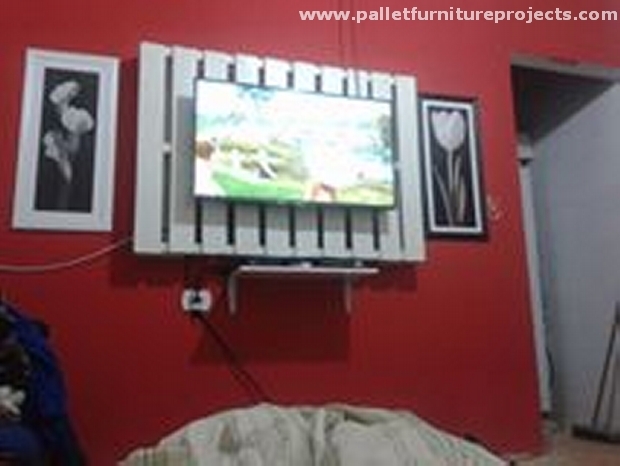 This absolutely sounds great to make a pallet wall TV stand. As we discussed earlier that this TV stand should carry certain standards, so we would be trying our level best to equip this wall pallet TV stand with all the listed qualities. And I am just more than sure that you would find it even beyond your expectations. A TV stand is the need of every house hold, every one of you is familiar with its dire importance for sure. You just can not put you expensive device like that anywhere in the house. You have to be cautious. 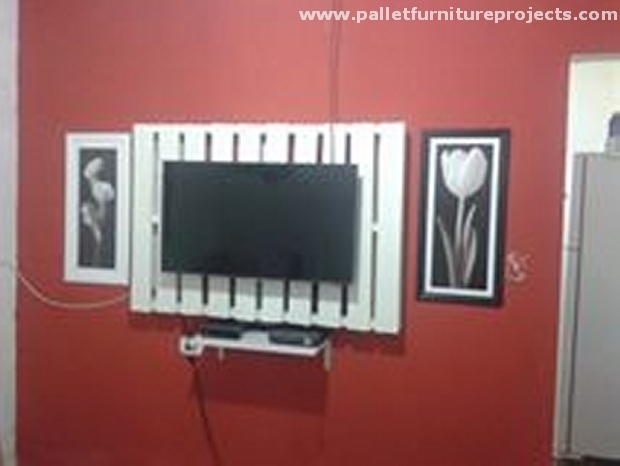 So while being cautious, this pallet wall TV stand would be your best mate. It would be high from the ground ensuring the security of your TV set, it looks fabulous on the wall, it compliments the rest of the room interior with its bright white color, it is so damn cost effective, and lastly it it very smartly manufactured as well. A small wooden stand right below the upper one is meant to carry some additional devices. This is just great for all kind of house holds, and also very handy to deal with.